This is a special number and it requires special attention. There are exactly 1820 occurrences of the name YHVH in the Torah. We learn from the Zohar that there are 70 ‘faces’ to the Torah. When we multiply 70 x 26 (YHVH) we get 1820! 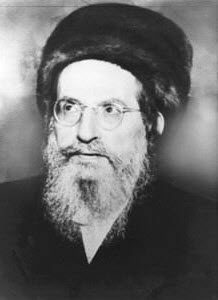 Rabbi Shimon wrote 70 ‘Tikkunim’ studies on the first word of the Torah בראשית, “In the Beginning”. These ‘Tikunim’ are called Tikunei Zohar and the entire study is available on the Daily Zohar, beginning with DZ #1 through DZ 1069. The most important study of the Zohar. In this verse we find a large letter Yod to support the secret and energy of it. The numerical value of the verse that represents the essence of the Torah “Love your fellow man as yourself” ‘ואהבת לרעך כמוך’ is 820 + 1000 that represents completion, and the letter Alef אלף is 1820. There are many awe-inspiring secrets revealed through the number 1820 and below are few links to videos that give deeper insights into them.